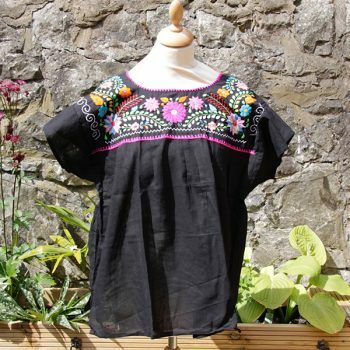 Beautiful handcrafted embroidered Mexican blouse. 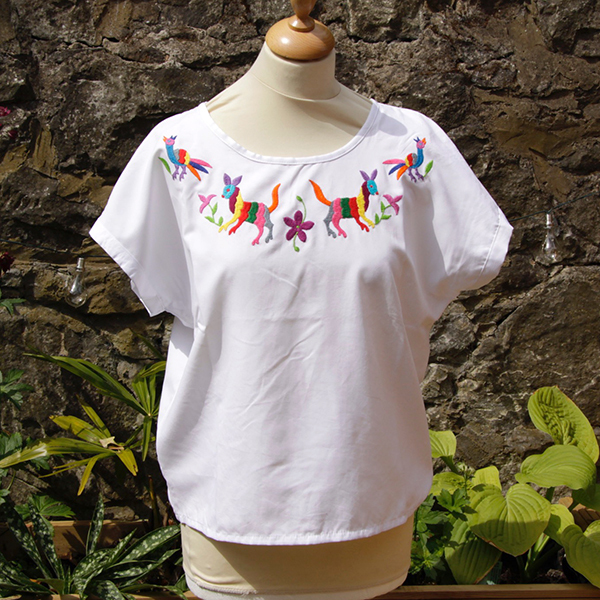 The traditional embroidery craft was a source of income for the Otomi people. 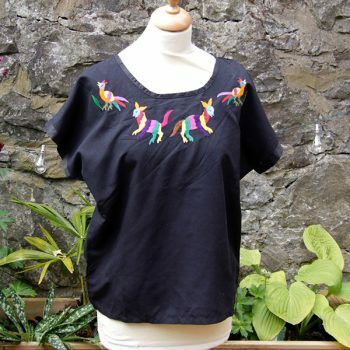 According to legend, the animals still depicted are derived from a nearby cave’s ancient drawings, although the style has clear roots in Spanish and Aztec styles as well. 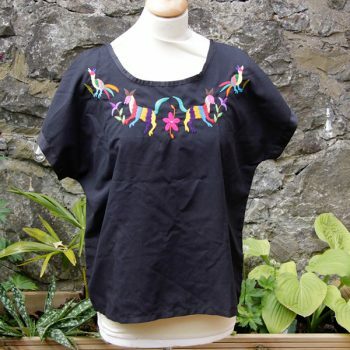 Created with a satin stitch over freehand drawings, the embroideries feature flora and native fauna such as birds, deer, and armadillos all of which often appear in profile. 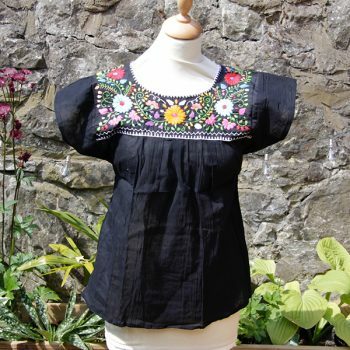 The main blouse is 100% polyester and is washable at 30c. Each piece is a one off. 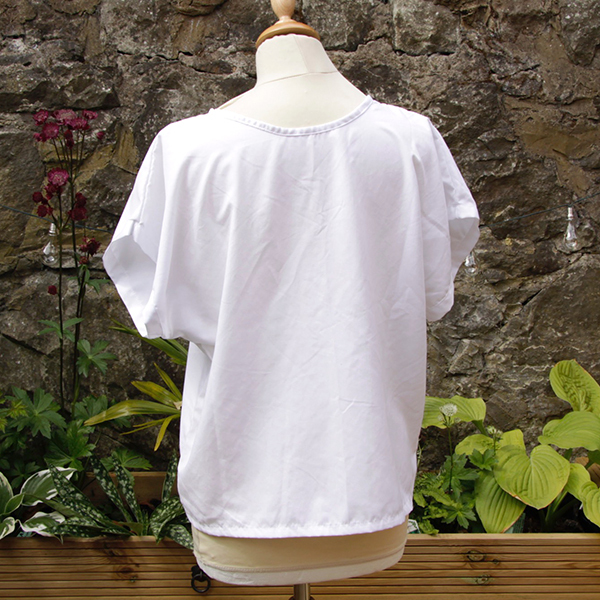 Size: the measurement around the chest is 46″ and the measurement from the front yolk to the hem is 19″.